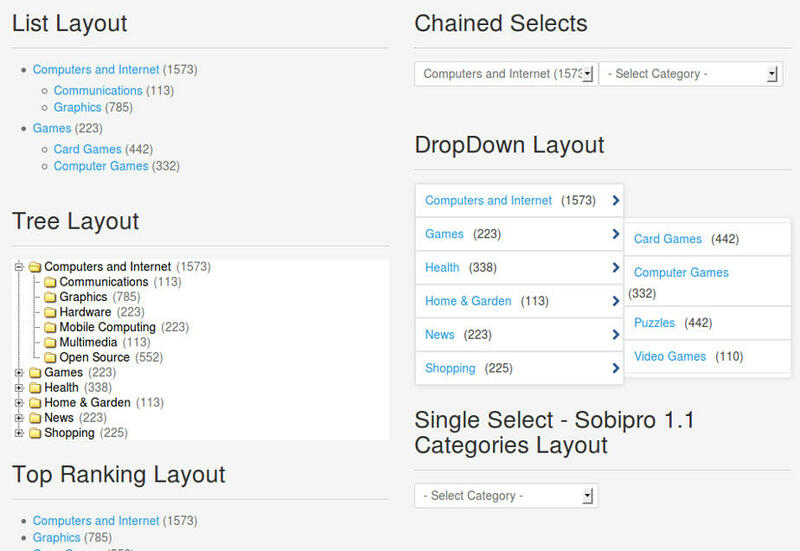 Promote entries to the top of the Catalog!
" 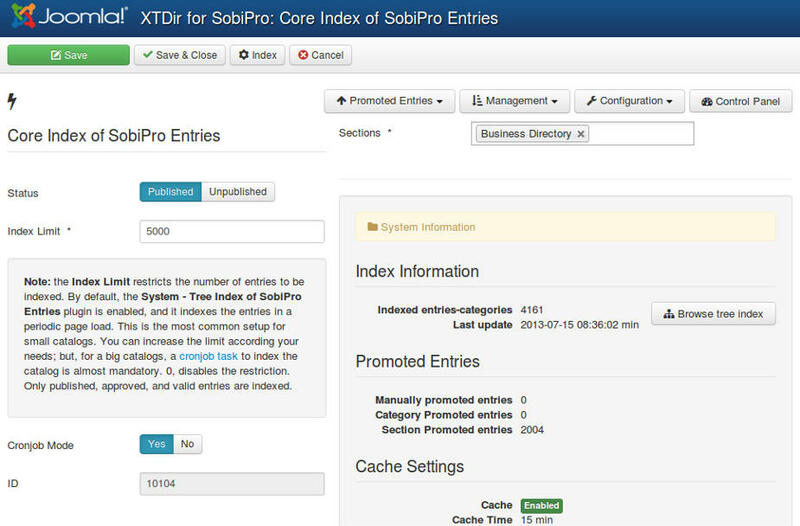 XTDir Promoted Entries allows to promote specific entries according to a priority (order)." 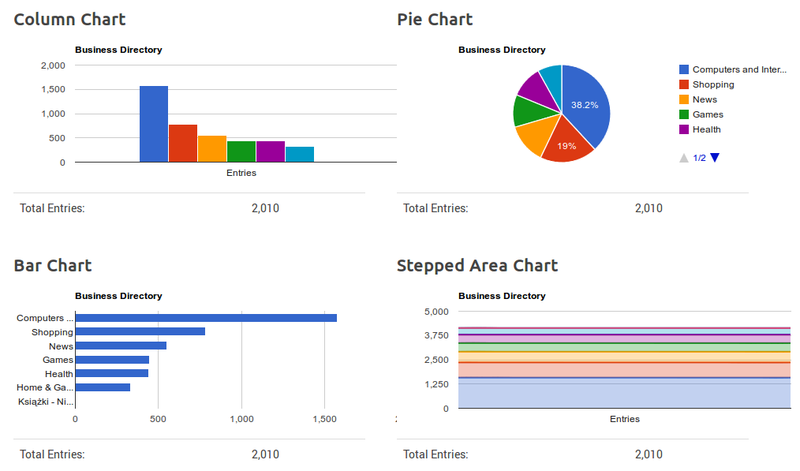 The business objective is to manage the catalog to advertise entries as ads, but keeping a "Consistent Directory Structure". Entries are promoted according to Promotions. Promotions can have a section or category scope; and there are three types of promotions. 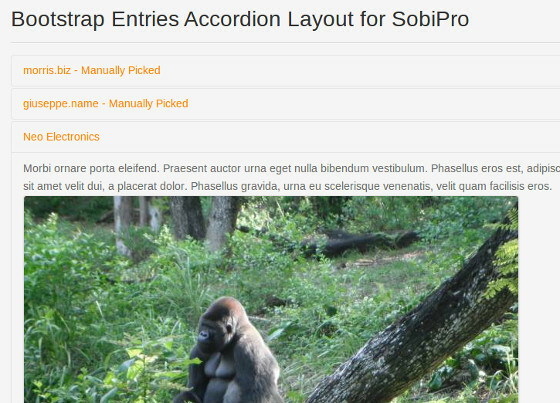 Manual Promotion, you can define a default value for these entries. E.g. order number 888. You can also manually assign an ordering to specific entries. E.g Neo Electronics, order number 7. 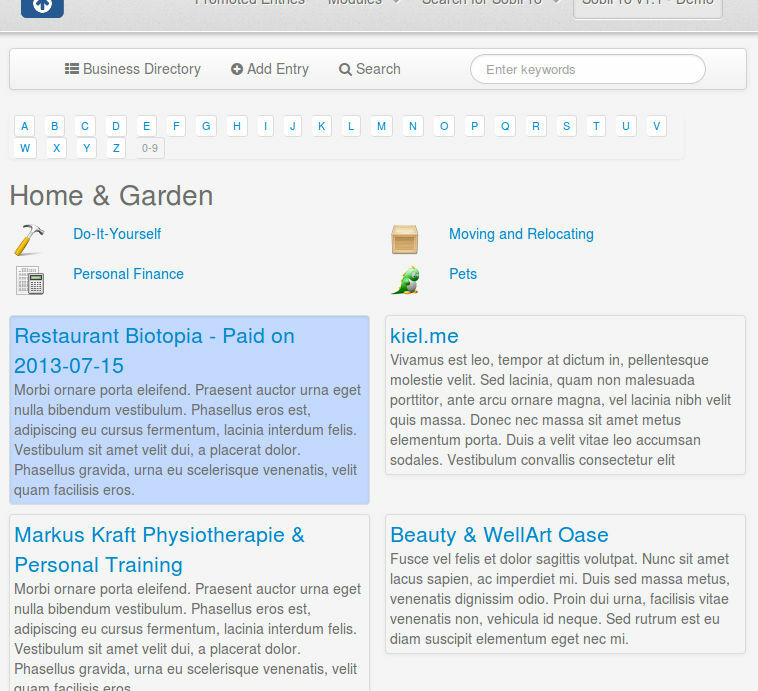 Dynamic Promotion, the ordering is assigned to entries that have a specific value in a field. E.g. field_premium=option_premium. 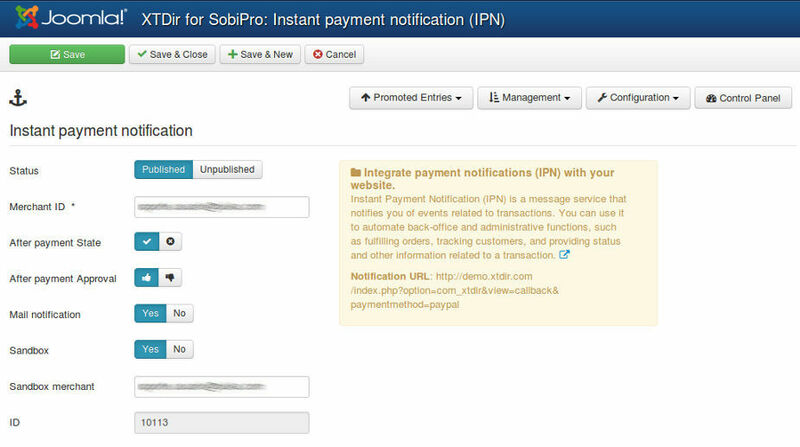 Paid Promotion, integrated with SobiPro Paid Fields, you can configure Paypal Notifications (IPN) to receive the payment event and activate the entry with a specific ordering. E.g. Neo Electronics paid for a logo, order number 555; the entry is marked as paid promoted. 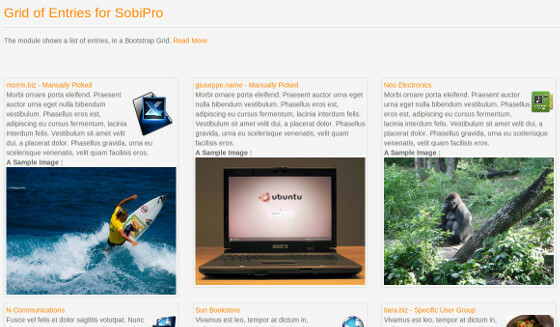 NEW User Group Promotion, integrated with Joomla User Groups. 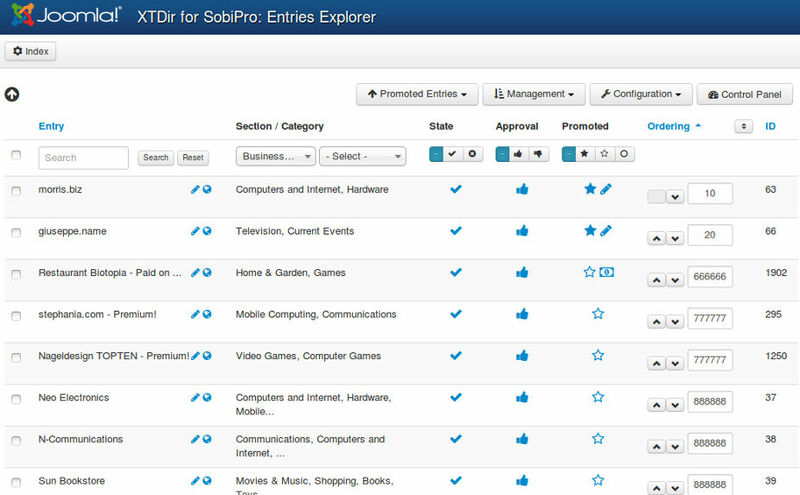 All entries assigned to owners of a specific User Group are promoted with a specific ordering. 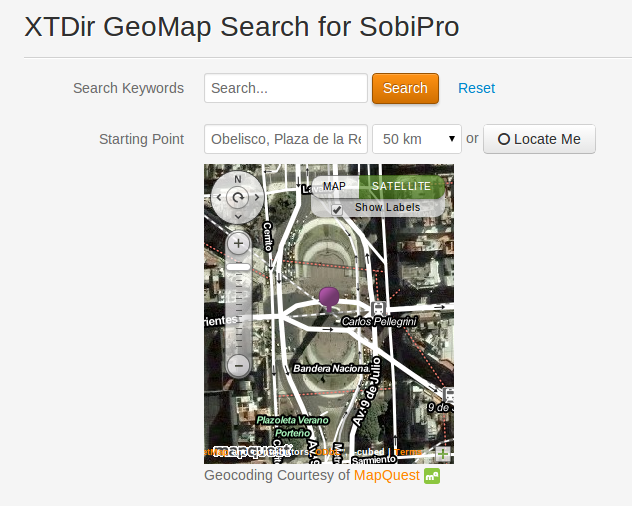 GeoMap Search for SobiPro, show a GeoMap search form, a Proximity Search which lets the visitors search entries within the proximity of a given location. 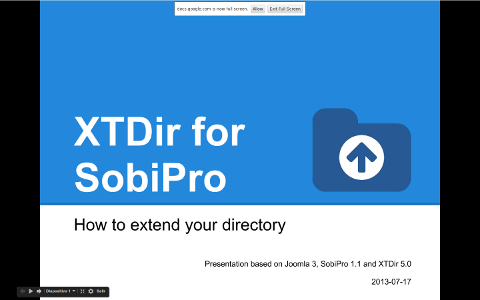 XTDir Promoted Entries for SobiPro is now included in XTDir for SobiPro. Results from a search query. 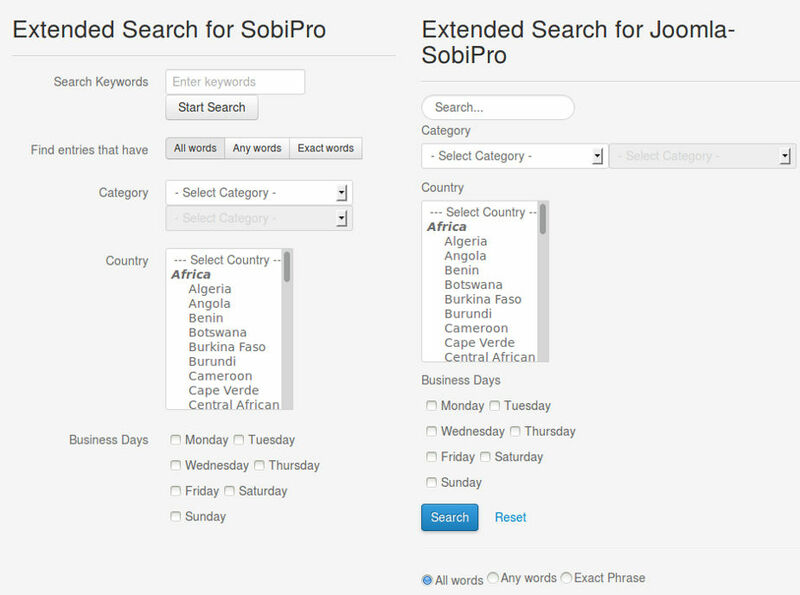 These search results show Paid order, Dynamic Field, and manually picked entries. 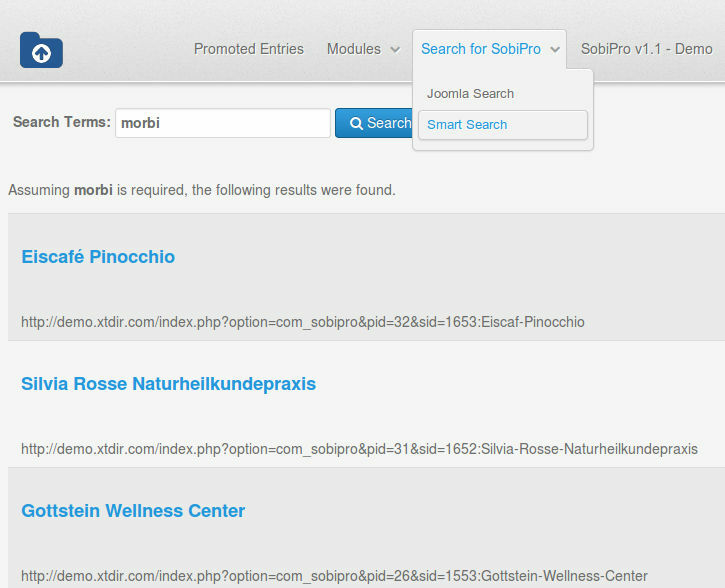 Check the case here, searching for "Morbi". 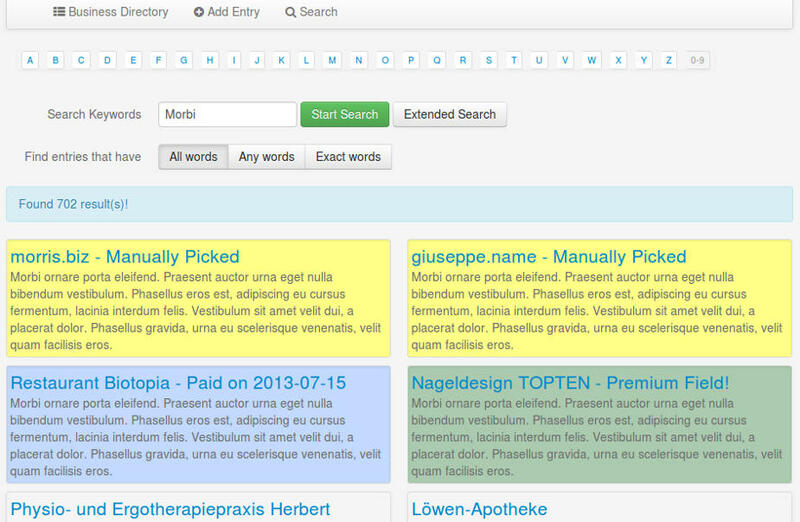 Entries shown browsing a Section or a Category. E.g. 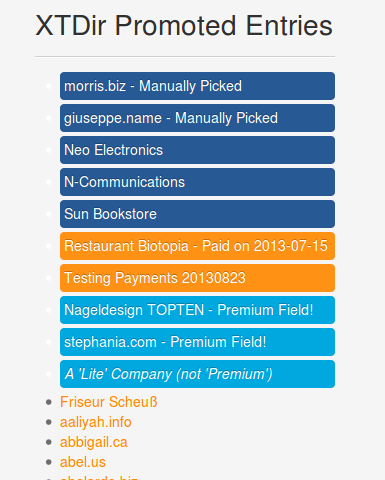 Category Home & Gardenhas Restaurant Biotopia - Paid on 2013-07-15, Computer Gameshas a dynamic field Premium entry Nageldesign TOPTEN - Premium! In the letter G, page 4 , giuseppe.name is shown at the top of the list. The App has several ways to show the results list. The Orderingdefines the order of the entries shown and it's determined according Promotions. 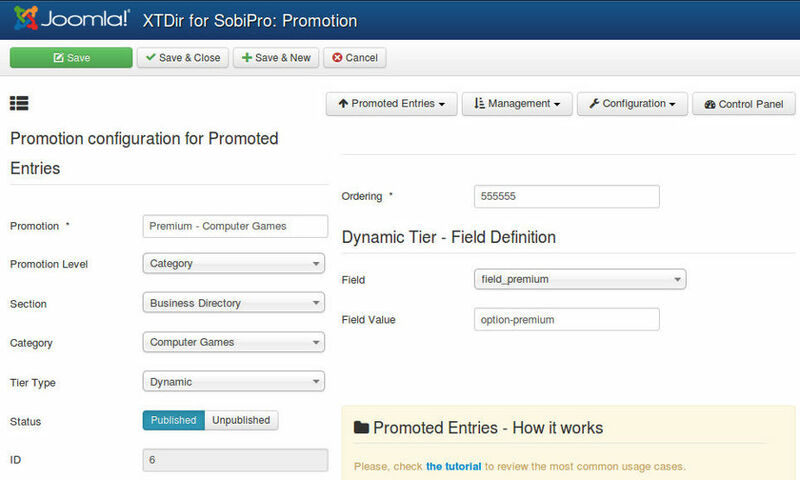 How it works: You configure Promotions, or manually assign an ordering to each entry. 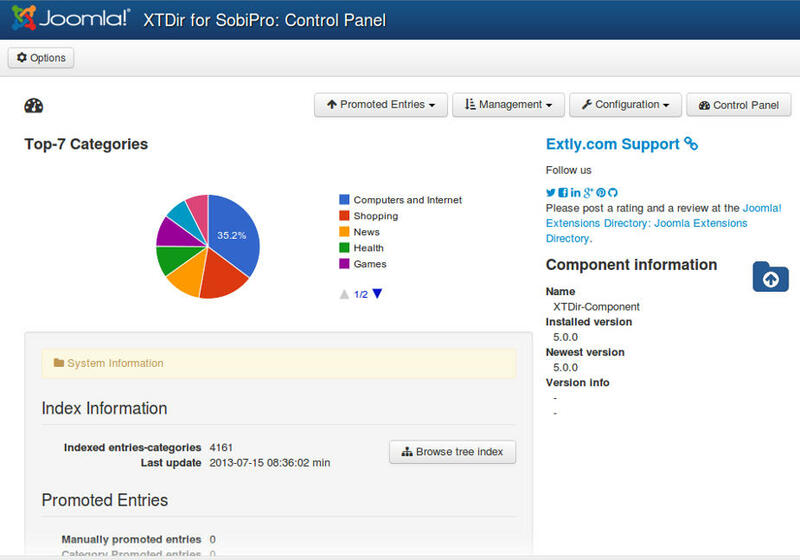 When the Core Index is generated by the XTDir component, each entry ordering is calculated and assigned. 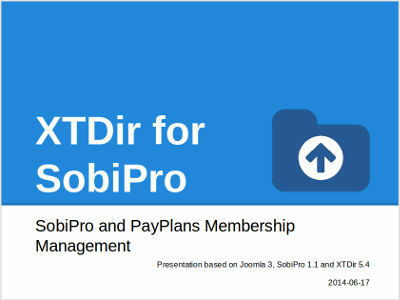 The Promoted Order App App must be installed and activated in each SobiPro section. 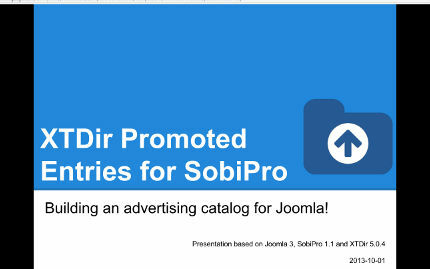 It works on events associated with Search, Categories Navigation, and Alpha Listing to change the results default order according to the Promotions definition. 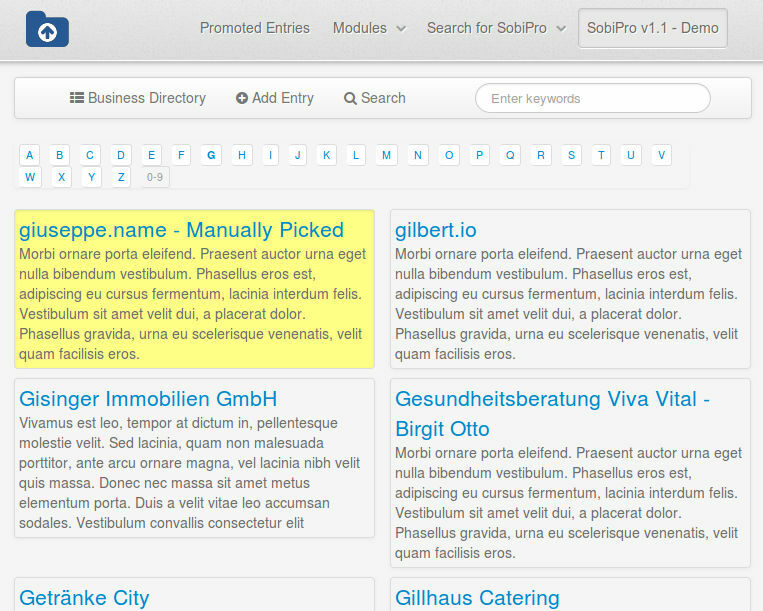 Also, the SobiPro Entries Position is updated according the Promotions definitions. Promoted entries can be sorted by Multi-armed bandit(Top 10% Random, 90% ordered by Hits). The rest of entries are shown in random order. The same algorithm used by Google Adwords. 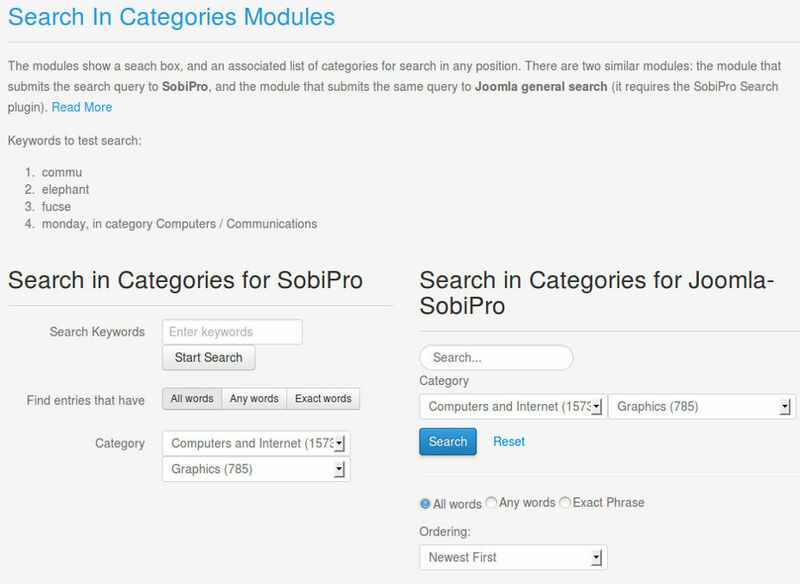 Promoted Entries is based on SobiPro triggers to change section, category, alpha listing or search results lists. 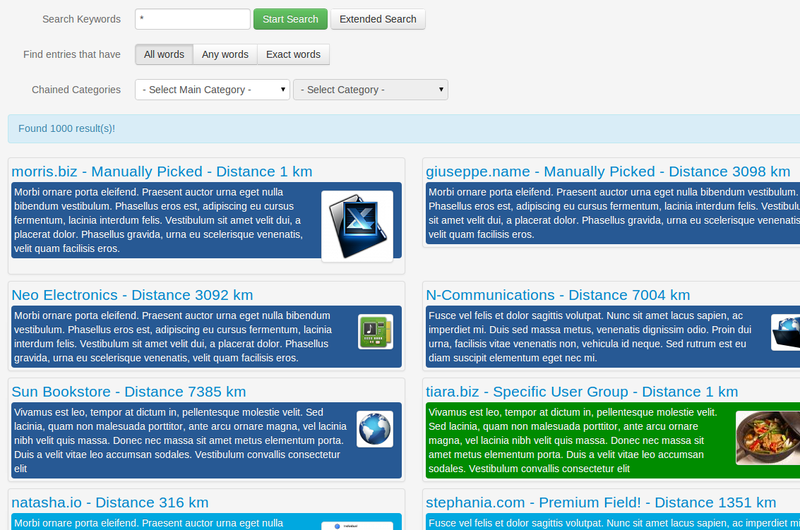 It can manage the entries order according to the priorities. 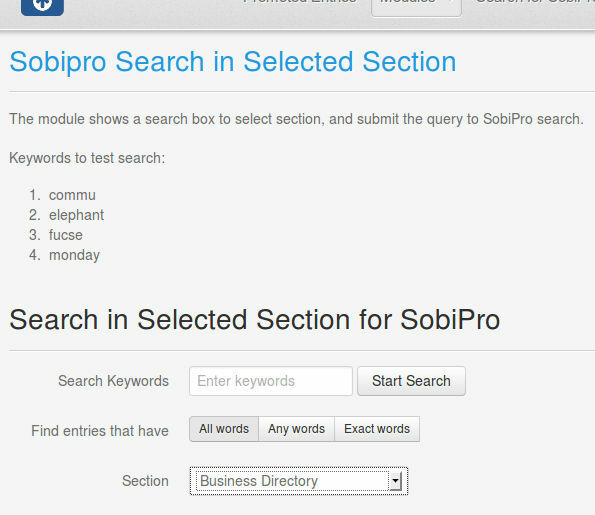 In case of Alphabetical navigation or Page navigation, the pages are created by SobiPro, and ordering is followed; but Alpha listing or Page navigation is obeyed. E.g. 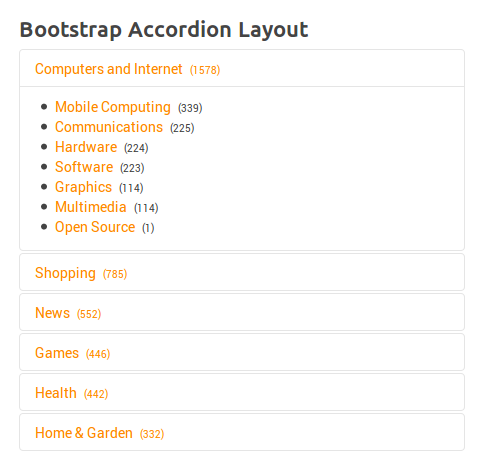 an entry can be promoted in the page or letter where it's included, but it can't be moved to the first page or a different letter page (breaking the consistent directory structure).